Every Unicorn fan will loves these cute stickers! What could be better than Magic Maisy surrounded by her favourite things! Cherries, flowers, rainbows and hearts! 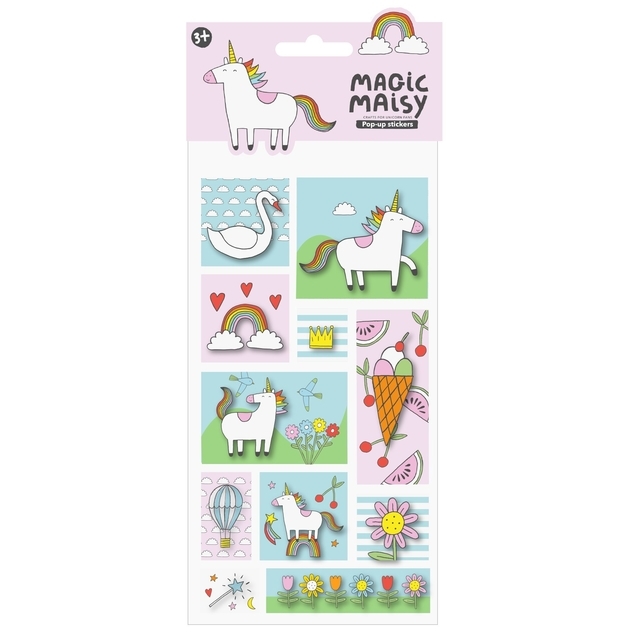 Magic Maisy Pop-up stickers are the perfect addition to any loot bag. One sticker sheet with 11 stickers featuring Magic Maisy, hearts, clouds and other magical images with cute scenery.